Fell in love with these babies at the SS13 press day. The only shoes I need for summer. Because just look how perfect it is. Because "hi guuuyyysss" is my thing and it's the most random headband! Fell in love with this after interning at Bitching and Junkfood, and Rita Ora wore it! Have wanted these for SO long after seeing a picture float around Tumblr last year. Topshop snapped them up, shame they cost so much. I can imagine myself skating along Brighton promenade with my GBF! Because it is freaking COOL! I'm starting Roller derby soon, those boots are beautiful! want the docs so bad! Loving the sweater dress, looks so bright! The Bart Simpson shirt is not in stock :( I was determined to buy it as soon as I saw your picture on Instagram :( bummer. Lusting after the Aggy sandals too! 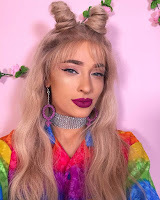 wow, love the headband, so cool! The Aggy sandals are super cool. love the bart simpson top! 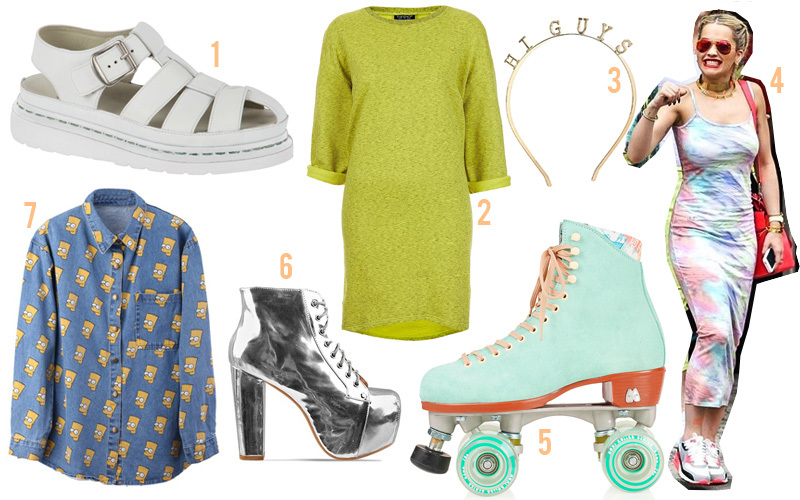 The roller skates and the Bart skirt are awesome, great list! Love the headband and agyness shoes! especially digging the roller skates. freaking cute! i really love the doc martens! They seem perfect for edgy days in the summer! u can also follow me!! I'll follow u back! !